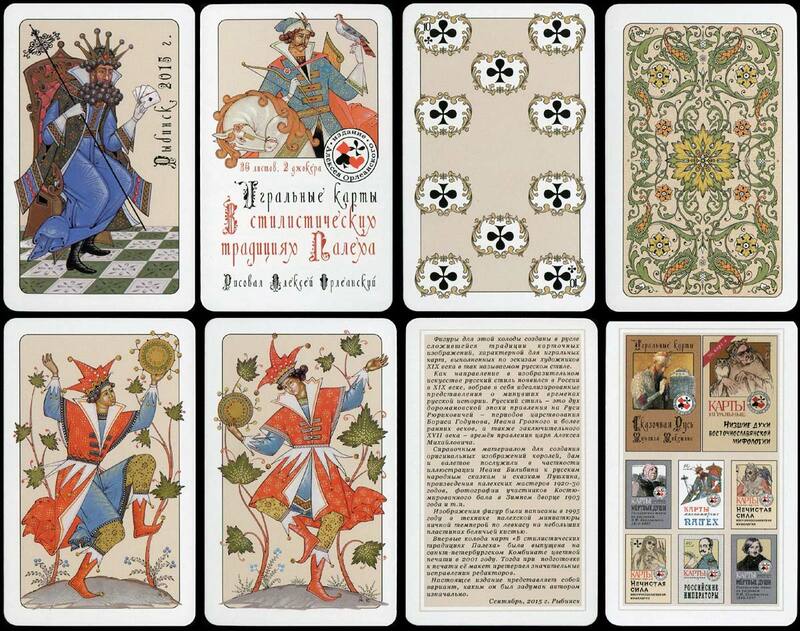 In the style of religious icon paintings, these Russian card courts wear costumes reminiscent of the mid-17th century. 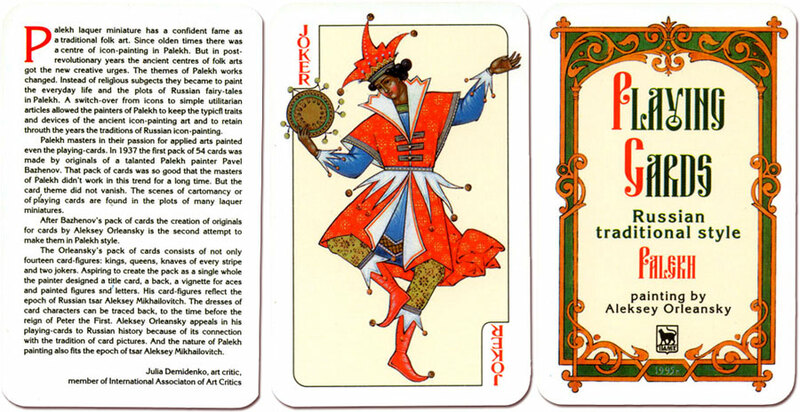 Above: one of the Jokers and the two extra cards from “Palekh” traditional style Russian playing cards with artwork by Aleksey Orleansky, printed by the Colour Printing Plant, 1995. 52 cards + 2 Jokers + 2 extra cards in single or double boxes. The Colour printing plant edition unfortunately contained some distorted colours. 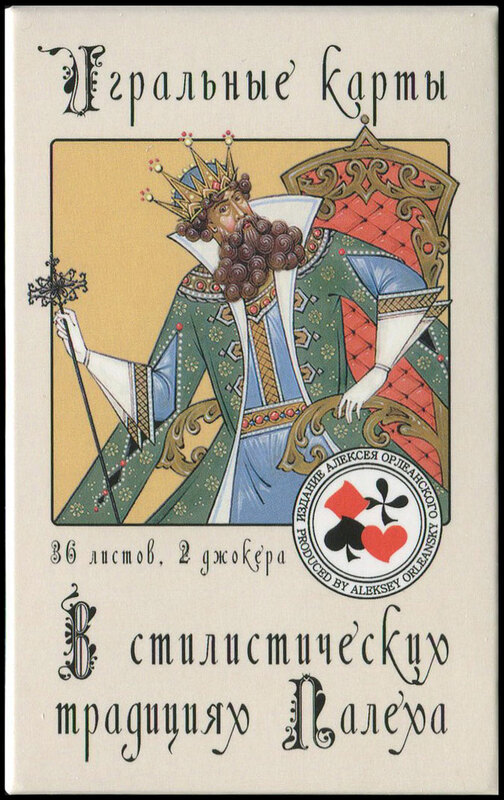 Orleansky issued a second edition of the deck in 2015. 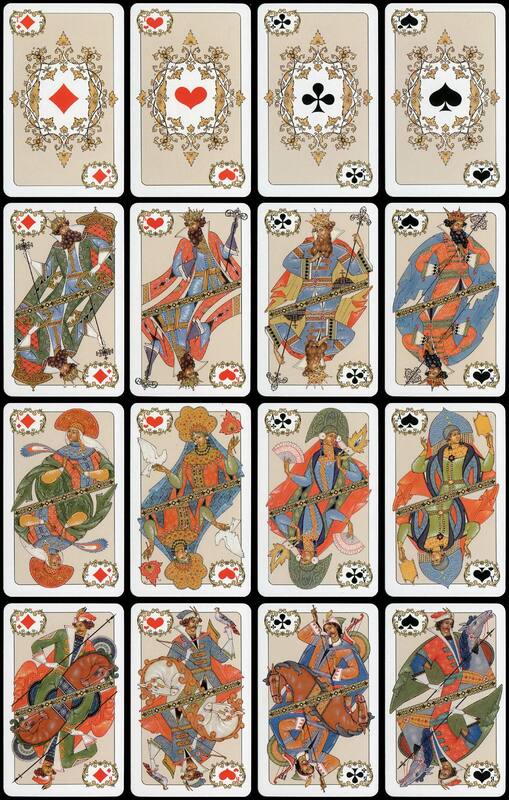 The deck has 36 cards, 2 jokers and three extra cards. All images courtesy Valentin Krasavin.